The political situation could hardly be bleaker. Israel has the most obdurate administration ever. Meanwhile, the international community is trying to halt a brutal civil war in Syria which has embroiled the great powers as well as regional actors, and also dealing with the war's less savoury participants. The United States, its efforts at peace making currently spent, has been distracted by a presidential election. The European Union is floundering to find an effective response to the massive and continuing migration crisis, while also facing greater internal economic and political challenges than ever. Set aside the EU's internal crisis of confidence and the Israel-Palestine conflict remains urgent and relevant. Unresolved Palestine is probably the single most potent component in the radicalisation of young Muslims against the west. In many Muslim minds Palestine is exemplary of western perfidy and hypocrisy, something scarcely understood in the west. In Gaza, sympathy for ISIS is growing. In the words of the White House security adviser, Robert Malley, removing the conflict “would be a major contribution to stemming the rise of extremism.” With progressive despair and violence in Palestine, does Europe really welcome a future wave of refugees to add to its current nightmare? It is another potential catastrophe waiting to happen. Every peace initiative since 1967 to resolve the fate of the occupied Palestinian territories [OPT] has failed: almost 50 years of failure. After the collapse of Oslo (1993), the "Road Map” (2003) envisaged completion by 2006 but despite more recent efforts, it has also failed. The process is dead in all but name, with Jewish settlement of the West Bank continuing and the siege of Gaza now permanently entrenched. There is an extraordinary naivety about this statement. The claims and aspirations of both parties are in deepest conflict. In particular, in the words of Israel's most eminent historian, Avi Shlaim, 'Israel's leaders preferred territorial expansion to peace,' and they still appear to do so. Otherwise they would have long since ceased initiating new settlements. In such circumstances the idea that the aspirations of both parties can be fulfilled is palpably unrealistic. The statement's final sentence sounds like a warning: to the Palestinians not to dare think of such a thing and to the Israelis that such an eventuality would scupper the Jewish State. Yet this, or deepening and bloody conflict, will come to pass unless EU member states urgently ask some hard questions and act upon the logic for the application of international humanitarian law (IHL) that ensues. How realistic is a negotiated settlement? The Quartet is wedded to the notion of direct negotiations, but is there any realistic hope of a just and durable agreement between two protagonists, one immensely strong, the other extremely weak? The disparity heightens the likelihood that one or both constituencies will reject any deal that seems to be giving away too much. The Palestinians, for their part, continue to believe that they have already made their historic compromise by recognising Israel based on the 1949 Armistice Line (which gives Israel undisputed sovereignty of 78 per cent of Mandate Palestine), abandoning the armed struggle and offering a full peace agreement in return for a withdrawal from the occupied territories. While thinking they may have to concede land swaps, they cannot accept a deal which does not deliver an economically viable and contiguous territory. For this they cannot allow the West Bank to be dissected by settlement blocs nor surrender Arab East Jerusalem, the economic fulcrum of the West Bank. They must also control their own borders, without which Palestinian sovereignty is meaningless. These views broadly accord with those of the Quartet: that with minor changes to the 1949 Armistice Line, Israel should otherwise withdraw completely from the occupied territories. Agreement with Israel has proved elusive, because the Quartet seems still not to recognise that after half a century, Israel remains unable to decide whether it wants peace on such terms. The Palestinians believe that they are pretty much trapped without options. Militarily, economically and politically they are helpless vis-vis Israel or its ally, the United States. The entrenched conflict between the Palestinian Authority [PA] in the West Bank and Hamas in Gaza makes it almost impossible for external negotiations to be fruitful. The few cards the Palestinians currently hold are: (i) to refuse inadequate offers; (ii) to await the fruition of growing international recognition and sympathy; (iii) to rely on the long term factor of faster population growth. Under worsening conditions, there is speculation that the PA might dissolve itself and hand responsibility back to the occupier. Under conditions of permanent captivity, Palestinian expectations of a successful negotiation are virtually zero. Two thirds oppose the so-called 'Clinton Parameters', and a similar proportion oppose the two-state solution that seemed acceptable in the first flush of Oslo in 1993. The prospect of Israel delivering acceptable peace terms is no more promising. It holds almost all the cards. While it feels so strong, why settle with the Palestinians except on its own terms? Even in the event of an Israeli prime minister making the PA an acceptable offer, it is unlikely that it would receive agreement in cabinet, where the chances for consent have declined. It is also inconceivable that any cabinet would agree anything that did not enjoy majority public acceptance, presumably through a referendum. Such approval is not expected. A majority believe that there is no solution. Over 70 per cent of Jewish Israelis do not consider the OPT to be ‘occupied’. 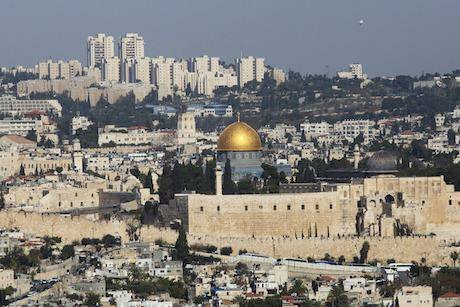 Toby Greene has recently outlined the four strands of mainstream political thinking in Israel. The left and centre left, now in opposition, favour continuing negotiations. They would not concede the major settlement blocks in any land swap deal and at best would allow a token Palestine refugee return that would leave the demographic balance of Israel unaffected. A second trend would not concede the Jordan valley, nor any refugee return. On the dominant political right and centre right, the trends are either to preserve the status quo or to go for further entrenchment or annexation of those lands to be permanently retained. There can be no expectation, therefore, of successful negotiations with the current administration and only a slight glimmer of hope with a centrist or leftist administration. During the 2013-2014 Kerry negotiations, 35 per cent of Jewish respondents said that if they remained opposed to peace terms approved by national referendum, then they would ‘act’ to prevent its implementation regardless. Basic beliefs affecting the inclination to make peace are equally discouraging. Just over half Jewish Israelis believe the Palestinians wish to conquer all Israel, while one third believe the Palestinians intend to destroy much of the Jewish population. Roughly half Israeli Jews wish to expel the Palestinians and even more – roughly 79 per cent – believe they should enjoy more favourable (but unspecified) treatment than non-Jewish citizens of Israel. Over half of Jewish Israelis consider that God gave the land between the sea and the river to the Jewish people, while two-thirds believe that they are the Chosen People. In such a context man-made arguments for a return of the territories are unlikely to cut much ice. Again, it is long overdue that the international community faced up to this. While the US has been the only power that can credibly mediate a peace deal, in practice it has mediated failure rather than peace. This is hardly surprising since it is in informal but close alliance with Israel, offering it political cover, funding and the most sophisticated military equipment, to ensure it remains the dominant regional power. Whenever it has acted as mediator, the terms have been firmly loaded in Israel’s favour, frustrating a just and durable outcome. It has allowed Israel's security concerns, in practice the progressive colonisation of the West Bank, to frustrate the Palestinian right to self-determination, an essential tenet of international law and widely regarded as an obligatory peremptory norm (jus cogens). It has likewise failed to insist that Israel respect resolution 242 in its entirety, not to mention IHL. The reasons for this failure are well known. The American electorate strongly identifies with Israel on account of the Bible, the dark, hateful shadow of the Holocaust and anti-Semitism, and Israel’s similar pioneering ethic. While the euphoria of 1967 may have evaporated, a substantial majority of Americans still favour Israel, while having an apparently poor grasp of the issues. To get elected, presidential candidates must declare their unswerving loyalty to Israel to avoid the hostility of the lobby and the forfeit of funds from pro-Israel magnates. In 1967 Lyndon Johnson was more pro-Israel than his predecessors. His successors have been yet more so, some reluctantly. Presidents are trapped, partly on account of public opinion but more so through the skill and power of the pro-Israel lobby, especially since the 1980s. This has rendered the question of Israel a domestic issue, in which a president defies the lobby at his peril. Even to get elected, presidential candidates must declare their unswerving loyalty to Israel to avoid the hostility of the lobby and the forfeit of funds from pro-Israel magnates. A successful candidate will choose his/her foreign policy advisers carefully and may well pick ones that ‘play well’ with the pro-Israel lobby. Could the White House have a Muslim or known pro-Arab in charge of its Middle East policy? Half a century later, it remains politically unthinkable. The lobby's exercise of influence over Congress also constrains US presidents. Its loyalty is to Israel rather than the US. It asks every aspiring congressman or senator where he/she stands on Israel. It will apply its substantial financial and political might against any unsatisfactory candidate or one who later deserts Israel. Until the assault on Gaza in 2014, the lobby ensured that Israel enjoyed bipartisan support. Increasingly, however, there are signs of Democrat unhappiness with the direction Israel has taken. America’s young intellectual elite also shows signs of growing disenchantment with Israel, evident in support for the Boycott, Divestment and Sanctions [BDS] movement. There are a growing number of young Jews either critical of, or uninterested in, Israel. Opinion appears be turning, but may take many years fully to do so, or it may be defeated by the strong military-industrial nexus between Israel and the US. In the meantime, the US protects Israel from stronger international action. Those anxious for a two-state solution, the EU and like-minded states, and above all the Palestinians, cannot afford to wait that long. A year ago the European Eminent Persons Group (EEPG) wrote to the EU High Representative for Foreign Affairs, the vice-president of the European Commission as well as EU foreign ministers calling for a new approach to resolving the conflict. It recognized the deteriorating situation, and that the negotiating inequality between Israel and the Palestinians, as well as the US failure to ensure a level playing field rendered a durable and fair outcome unrealistic. Inter alia, it recommended EU support in the Security Council for a resolution calling for fresh negotiations with a deadline for agreement, for greater equivalence of status through recognition of a Palestinian state and support for its accession to international treaties and organisations. This initiative would be fully discussed with the US but with a view to the EU taking it forward if the US was unable to support it. It also referred to international human rights and humanitarian norms. However, there are fundamental problems with the security council itself. It is in urgent need of reform, not least to ensure that its prime purpose, ‘the maintenance of international peace and security’ (charter art. 24) can be effectively discharged. Attempts at reform have been thwarted. The council’s performance has been particularly ineffectual in the case of Palestine. From the outset, ‘It shied away from the hard diplomatic work [in 1947] needed to prevent conflict, instead delegating the task to a [general assembly] committee of weak states’, where the US exerted intense pressure to secure a vote in favour of partition and a separate Jewish state. Once the vote for partition had been made, the council did nothing to ensure an orderly transition but allowed the war to run its course, with its ensuing history of conflict. Its passing of resolution 242 in 1967 was a rare achievement of political will, which promptly evaporated when it came to implementation. It never held Israel to 242's governing principle, 'the inadmissibility of the acquisition of territory by war', an essential foundational principle of the UN Charter and a peremptory norm. The council has also been emasculated by the US, which has cast its veto on Israel’s behalf 40-odd times. It will only be able to act with the necessary vigour once the US decides that uncritical support for Israel is no longer in its interest, or that the European Union (or the UN itself) should lead a peace process which requires real adhesion to UN resolutions and IHL. There is no sign of this yet. Set aside this discouraging context and in its present form the EEPG proposal still cannot deal adequately with the patent inequality between the two parties. While recognition of a Palestinian state would help, giving it access to international fora, it would not confer the power of a truly independent state. In 1950 the council invited the assembly to take up the threat to peace (Korea) because of the USSR veto, leading to the general assembly’s ‘uniting for peace’ resolution 377 (V) A, 3 Nov 1950. Crucially, however, the assembly still cannot take binding decisions but only recommend enforcement measures. It worked in 1950 because other council members wished to act. Today, unless other council members decide to sidestep a US veto and take an active lead in the assembly on a resolution recommending restrictive steps under charter article 41 to enforce respect for IHL and the human rights covenants, nothing will happen. Currently, the will is lacking. The council is unlikely to vest the assembly with authority to make binding decisions, although it could be argued that this is justified and necessary in the event of the repeated exercise of the veto and, as a consequence of that veto, the inability of the council to exercise its responsibility under charter article 24. One cannot see that happening any time soon. While the EU may be unable to forge peace, it can create the conditions which will make peace realistically possible, but only if it is sufficiently determined. More than a cornerstone, compliance is an absolute legal requirement and obligation on all parties to these laws, in particular, the Hague Regulations of 1907, the 1949 Fourth Geneva Convention and its 1977 Additional Protocol 1 [hereinafter, the Regulations, the Convention and Additional Protocol 1, respectively]. Since, in the view of the international community, the Regulations, the Convention and Additional Protocol 1 apply to the Israel-occupied territories, Israel must come into compliance. That is the law and, as such, not negotiable. In addition resolution 242 applies. The supposed and much-vaunted ambiguity of 242 is misleading. Those who drafted and passed the resolution may have intended ambiguity but they seem to have been unaware that the Convention requires a full withdrawal before its essential constraints cease to be operative. There is neither ambiguity nor any lawful getting around that. For example, for the representative of an occupied population to negotiate a deal involving any land swap with, or retention of any settlement by, the occupant while the Convention still obtains is strictly illegal. He/she would be in breach of article 47. Furthermore, in such circumstances all states party would be in breach of their own article 1 undertaking ‘to ensure respect for the present Convention in all circumstances,’ were they to recognise such land swaps (or the concession of any of the rights and protections afforded by the Convention). It cannot lawfully be done and, like all states party, EU members are absolutely bound by it. How far have EU states ensured that occupier and occupied respect the law? The Convention does not specify steps which states party must take ‘to ensure respect.’ Legally, the clearest and least contentious obligation is non-recognition. Consequently, EU members refuse to recognise any breaches of the Regulations, the Convention or Additional Protocol 1 committed by Israel as lawful. To that extent they have fulfilled their duty. Because coercive means are not specified, there have been international attempts to achieve agreement on measures to ensure respect for the Convention in the OPT. Almost 20 years ago, the general assembly called for the parties to the Convention to confer on such measures. Conferences have taken place in Geneva in 1999 and 2014, but without any decision so far about measures beyond non-recognition and exhortation to Israel to respect IHL. Another series of meetings have taken place regarding ensuring compliance with IHL universally, in the period 2012-15. This, too, has yet to produce specified measures for enforcement. As with much international law, progress is so slow that it is unlikely these deliberations will ensure the pressure necessary to create a firm foundation for a two-state solution in the foreseeable future. In the meantime EU states, like the rest of the world, have comprehensively failed in one specific legal obligation. All states party to the Convention undertake to provide effective penal sanctions (art. 146) against those who commit or order to be committed certain grave breaches (listed in art. 147). The jurisdiction is universal, so each state undertakes to detain and bring any evident offender entering its jurisdiction before its own court. These breaches include the ‘extensive destruction and appropriation of property not justified by military necessity and carried out unlawfully and wantonly’. This includes within its ambit most Israeli expropriation and settlement, and also approximately 27,000 cases of house demolition (in aggregate equivalent to a city of over 100,000 souls), except where such appropriation and demolition is in accordance with both IHL and the laws operating prior to 5 June 1967. No one applied effective penal sanctions thereafter, so it is unsurprising that the occupier continued its grave breaches. The first grave breach occurred on 10/11 June 1967, when Israel razed the Mughrabi Quarter in Jerusalem rendering approximately 650 protected persons homeless. No formal UN protest was made, let alone any legal action. No one applied effective penal sanctions thereafter, so it is unsurprising that the occupier continued its grave breaches. Even given the immunity of senior government ministers, how is it that under article 146 no one has yet been brought to court within the EU, or indeed anywhere? Political expediency, such as the British Foreign Secretary invoked in 2011, is no excuse, nor is the ignoring of evidence because the motives of those seeking an arrest warrant are considered suspect. Arrest warrants should have been issued, evidence based, regardless of political interest or motive, against anyone suspected of the grave breaches enumerated in art. 147. This last summer, the UK government frustrated its own police force, which wished to interview Tzipi Livni, by offering her diplomatic immunity for what was a private visit. By their failure on this count, states party frustrate the intention of the Convention, the protection of civilians from egregious abuse by the occupying power. Furthermore, while EU states repeatedly assert how seriously they take IHL, their actions belie this position. If they genuinely treated Israel's settlements as illegal they would not trade with them, since trade sustains their economic viability. EU members import approximately 15 times more from illegal settlements than they do from the captive population under occupation, over 100-fold more per settler than per Palestinian. EU states import an estimated 66 per cent of settlement agricultural products, thus vitiating the EU's formal position of non-recognition. By such trading they cannot possibly claim they are co-operating to bring an illegal situation to an end. On the contrary, they are knowingly rendering economic assistance in maintaining an illegal situation, arguably an illegal act. Since they import such a large proportion of settlement produce, EU states could remove the economic viability of most settlements virtually overnight, if they so chose. In situations of serious violations of the Conventions or of this protocol, the High Contracting Parties undertake to act [emphasis added], jointly or individually, in co-operation with the United Nations and in conformity with the UN Charter. Since UN resolutions affirm the applicability of IHL, and the charter forbids the acquisition of territory by war, a Convention obligation clearly exists. Additional Protocol 1’s commentary indicates that beyond appeals and enquiries regarding respect for IHL, coercive means may be used. The EU's passion for the application of IHL is anything but impartial or universal, another apparent indicator of the west's hypocrisy when dealing with Muslim lands. So there is absolutely no pressure on the occupier to conform with IHL. Thus the EU has resisted measures which in other contexts it has promptly implemented. Its passion for the application of IHL is anything but impartial or universal, another apparent indicator of the west's hypocrisy when dealing with Muslim lands. It is true that the EU has cautioned commercial companies under the UN guidelines for business and human rights to ensure that they take into account IHL and human rights law. Where such companies have taken notice of the guidelines, it is probably more on account of the Boycott, Divestment and Sanctions [BDS] campaign than of the EU. They fear reputational damage. After a decade BDS has gained sufficient popular traction that some significant companies have divested from commerce in the OPT. In 2014, following its assault on Gaza, Israel suffered a 46 per cent drop in foreign direct investment. UNCTAD partly credited BDS for this. Such has been its perceived success that pro-Israel movements and individuals have provided substantial sums to counter it, while an Israeli government minister has threatened the safety of the BDS founder. As with the case of apartheid South Africa, campaigners hope growing success will render it a PR disaster to engage in trade with Israel’s occupation and that this will finally inhibit governments also. So far the EU has given BDS a cool reaction, while its own limited measures still do not render Israel’s occupation disadvantageous. Why has the EU chosen not to fulfil its own policy with sufficient vigour to ensure Israel’s respect? Apart from each member having its own policy regarding the Palestine-Israel conflict, there has been a longstanding bias in favour of Israel by both electorates and governments, although public sympathy for the Palestinians has grown significantly recently. Member states also have trade interests which they do not want disturbed. Roughly 30 per cent of Israel’s exports are to the EU, worth 13.137 billion euros in 2014, while EU exports to Israel were worth 16.979 billion euros. That same year total trade between the EU and Palestine was worth 154 million euros. The arithmetic is self-explanatory. Israel’s contribution on security matters, skills largely acquired controlling a captive people, is also valued. Above all, one may also speculate that EU members wish to offend neither Israel nor its political protector, the US. There is a very powerful and active pro-Israel lobby in Brussels. It is considered unhelpful to infuriate Israel and the US by making an issue of the rule of law. Consequently there has been polite disagreement over IHL, but little more. Such motives apart, European politicians dealing with the conflict appear either ignorant of, or uninterested in, the vital requirements of IHL. A trawl through the memoirs of successive UK foreign ministers, for example, does not reveal a single mention of IHL or its components in the context of the Israel-Palestine conflict, despite the way disregard for IHL through illegal settlement is the central obstacle on the road to a solution. IHL as a fundamental and critical criterion has never weighed sufficiently heavily on their minds. Yet, if achieving a viable two-state solution or simply the proper application of IHL are worth anything at all, Israel’s international posture regarding IHL deserves to be challenged much more robustly. Shortly after 1967 it took the position that the Convention did not apply to the Palestinian territories it had occupied and that these territories were, at best, ‘disputed’. Israel knew its position was neither lawful nor truthful. Its most senior legal officers had warned the government that the Convention fully applied. This has been confirmed comparatively recently by Israel’s High Court in 2004 and 2005. Successive governments have known that the Regulations as well as the Convention apply. Whatever it has said for international consumption, this occupier knows full well that IHL is applicable and that it is in violation. Yet acquiesce is exactly what it has done. It has given way on illegal settlement time and again. In a fleeting moment of damage limitation, it supported security council resolution 681 in 1990, which ‘Calls upon the High Contracting Parties to the said Convention to ensure respect by Israel, the occupying Power, for its obligations under the Convention in accordance with article 1 thereof.’ But it has always done its best to scotch the idea of enforcement measures. The US knows perfectly well that together with 242, IHL defines what may and may not be lawfully agreed in negotiations. It does not want it, partly out of support for Israel but also to avoid surrendering its own political control to impartial international legal criteria. Actively applying the law is sufficiently unpopular with Israel and the US that European lawyers and their political principals can doubtless argue that member states already fulfil their obligations. Yet there are some very obvious reasons for resorting to lawful enforcement measures. …. where there is no law there is no freedom. For liberty is to be free from restraint and violence from others; which cannot be where there is no law. One would not catch any EU politician denying the importance of the moral purpose of IHL. Yet it is almost impossible to find one ready to give that purpose the muscle it deserves. But not entirely: in the Netherlands, a minority party, D66, has recently come out for suspension of the EU-Israel Association Agreement, on the grounds of Israel's persistent violation of human rights and frustration of the Palestinian right to self-determination, a peremptory norm. So far, though, it seems to be alone. Where is that sense of urgency and importance now? This occupation is the longest and internationally most significant belligerent occupation since the Convention was drafted in 1949. Israel has given a textbook demonstration of how permanently to violate IHL with impunity. Laws and principles wither without someone dauntless to uphold them. The same danger exists for the Convention, unless respect for it is now actively to be ensured. It is easy to be starry-eyed about the ideals of IHL, as if the world is not really governed by realpolitik. However, consider this particular realpolitik. We have the consequence of political, biased and sometimes short-term considerations and also unrealistic expectations of direct negotiations between the very strong and the very weak: a political and humanitarian problem of far greater magnitude than it was in 1967. An occupier which benefits economically, militarily and socially from its occupation will not abandon it until the cost outweighs the benefit. Israel’s occupation is extremely profitable through direct colonisation, extraction of resources, cheap captive labour, the imposition of its produce on a captive internal market, and the readiness of the EU, inter alia, to import settlement goods. It will only surrender its advantageous position when it finds the cost of its illegality becomes unbearable politically or economically, or both. It has so far experienced no serious cost in either respect. Thus, the third reason why the muscular application of IHL is so essential to achieving the much-desired two-state solution is that it is the only credible and practical means left of realising it. Most commentators view the two-state solution as effectively dead. They do so because of the much-repeated failure of negotiations between one party desperate for a solution and another which says it wants peace but actually prefers the retention of territory. This situation, including US obstruction of the security council, contradicts the spirit and letter of resolution 242 and the patent interest of the international community. So far EU members have lacked the political will to apply what they know to be not only right but also necessary hard-headed realism. Their performance has been manifestly feeble. Without the EU’s active application of IHL, the two-state solution disappears from view because the occupier has no incentive to withdraw. Both Jewish Israelis and Palestinians then face a darkening road which leads to apartheid (to a great extent this already exists in the present system of community separation in the OPT) or to ethnic cleansing, or to a single bi-national state which, even for those who welcome it, is unlikely to come about without violence and possibly a level of human suffering not yet seen in the conflict. It is the imperative of pragmatism which demands the active assertion of impartial rules, ones not subject to negotiation but which require absolute respect and obedience by all parties. Furthermore, full respect for IHL gets the occupier out of a hole of its own making. If Israel were to complete a withdrawal, the scene would be set for legitimate land swaps or other mutual concessions, ones painful to each party but also ones that could grant each the most vital things it needs for an enduring peace: secure and recognized borders (the much repeated demand of Israel in 1967), economic viability and even, dare one say it, a road to reconciliation. EU member states must choose between continuing efforts at negotiations of proven sterility, while tiptoeing around US sensibilities and the security council’s constricted powers or, by following the harder but more realistic path, they can render disregard for IHL sufficiently costly that both occupier and occupied will settle for negotiations based explicitly on, rather in disregard of, international law and norms. This is the course that now needs to happen.